Unwind is saxophonist Hayden Chisholm’s New Zealand-based project, and tours annually. The group performs original music that, although flavoured by chamber music, Indian raga and various folk traditions, is somewhere close to the republic of jazz. 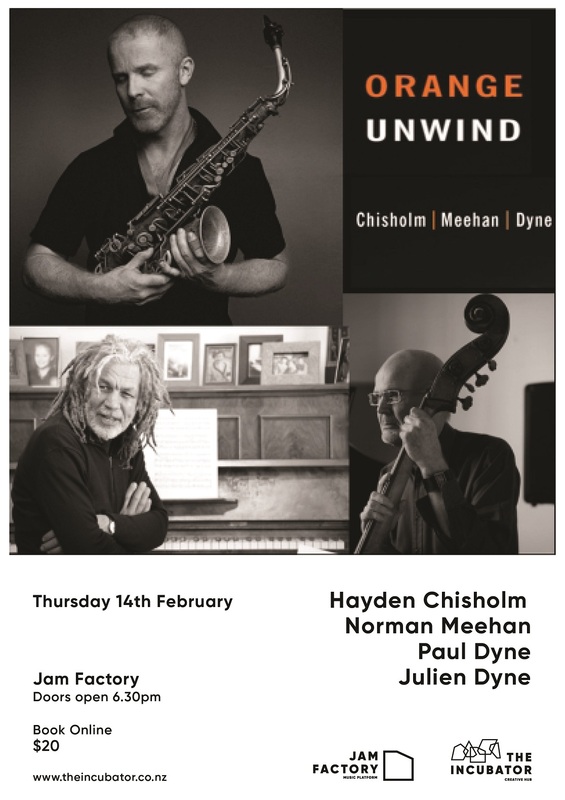 Joining Hayden is renowned bassist Paul Dyne (Sustenance, Mike Nock, Malcolm McNeill) and pianist and composer Norman Meehan. In 2019 their summer tour will introduce audiences to percussion master Julien Dyne (Ladi6, Fat Freddies Drop), the most recent addition to the group. Unwind’s music is released by Rattle Records.